There are several characteristics of the expression בין הערבים (byn ha-arabim) which must be considered. This fact alone explains why so many Hasidic Jews, belonging to generations far removed from the days of Moses and from the time when the Hebrew term בין הערבים (byn ha-arabim) was in vogue, became confused as to its true meaning. Meanwhile, the term ערבים (arabim) is a collective noun, and like the term “family” represents two or more things standing together as one. The word ערבים (arabim) is commonly believed to be a dual, meaning “the two evenings,”4 but it is also just as easily read as “among” or “in the midst of” several arab periods. In either case, byn ha-arabim represents the period of time in the midst of or between different periods of arab that are standing together as a unit. In this regard, the relationship between the collective noun form ערבים (arabim) and its parent form ערב (arab) is no different than numerous other examples in Hebrew. If only a simple plural was intended—reflecting two or more independent or unrelated periods, such as two periods separated by hours of time—the form ערבי (arabi) would have been sufficient. In turn, this detail shows that the two (or more) periods in the expression הערבים (ha-arabim; the arabim) stood together as one unit. They were not periods separated by hours. πρὸς (pros), “Prep. with gen., implying motion from a place; with dat., abiding at a place; with acc., motion to a place… of Time, towards or near, at or about”19 Whether the reference is to “toward” or “at” twilight is dependent upon the context. In each of these cases the expression byn ha-arabim is made to be the late part of the daylight, i.e. twilight, being the opposite of πρωί (proi; dawn). With regard to understanding the correct definition of “בין הערבים (byn ha-arabim)” those advocating System A, System C, and to some degree System D, clearly have the upper hand. It is clear from these details that the expression byn ha-arabim, which is a collective noun, cannot refer to a period lasting from the arab that ends or starts one day, including the night and dawn, until the next arab period beginning 24 hours later. In that case, each arab period would belong to a separate day and would not be part of a collective unit. As a result, since byn ha-arabim is the time of the sacrifice, and full night follows, it is clear that any understanding must make both arab periods (or the multiples of arab) come after a previous dawn, before the following night, and belong to the same day. What has been ignored in this debate over the meaning of “בין הערבים (byn ha-arabim),” regardless of its original shades of meaning, is the fact that this expression became for all practical purposes nothing less than another way of saying “בערב (be-arab),” the two phrases being synonymous. An important verification that the terms “בערב (be-arab)” and “בין הערבים (byn ha-arabim)” are two ways of saying the same thing comes with the parallel accounts of when to sacrifice the Passover. The LXX renders “בערב” in Deuteronomy 16:4, 6 as ἑσπέρας (hesperas; twilight). 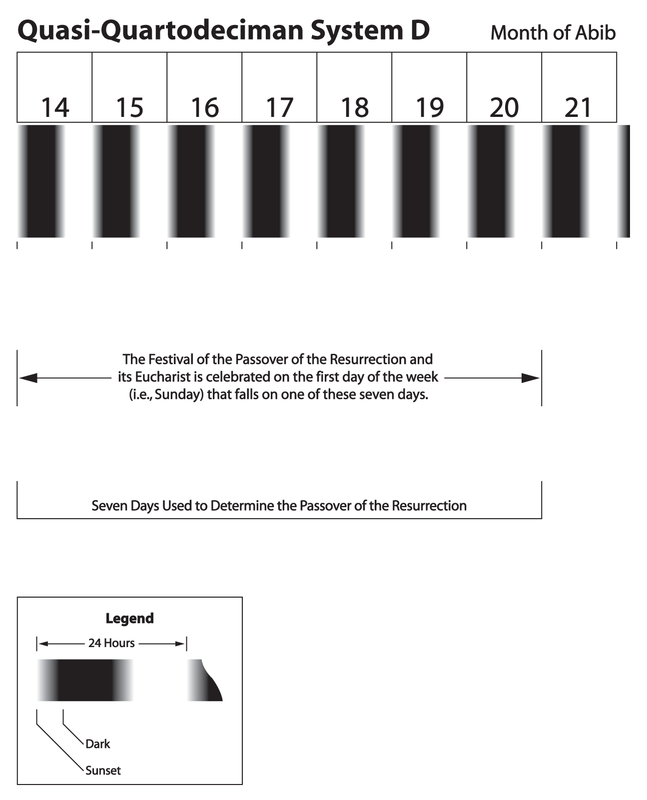 In Joshua 5:10 it states that the sons of Israel kept the Passover on the fourteenth day of the moon ἀφ ἑσπέρας (aph hesperas). 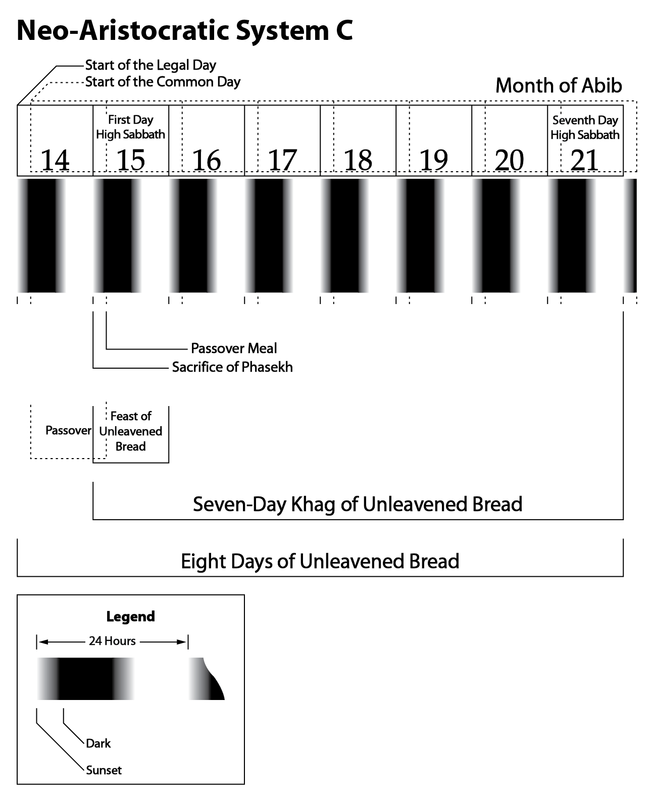 The Greek term ἀφ (aph), a form of ἀπο (apo), means, “OF TIME, from, after”;21 that is, they kept the Passover festival beginning from ἑσπέρας (hesperas; twilight) on the 14th until after twilight ended. • In Exodus 12:6 and Numbers 9:3, 11 (not translated in v. 5) it gives πρὸς ἑσπέραν (pros hesperan), “at” or “toward twilight.” This translation was loose enough so that each side of the debate (Hasidic and Aristocratic) could read into it their own view. • At Leviticus 23:5, on the other hand, it was rendered ἀναμέσον τῶν ἑσπερινῶν (anameson ton hesperinon). The word ἀναμέσον (anameson) means, “interior,”22 therefore, “in the interior of the time of hesperas (twilight).” There can be no doubt here that “within twilight” is meant. This evidence proves that the two expressions were actually two ways of saying exactly the same thing. Byn ha-arabim is merely a more archaic usage, its shading of difference with be-arab having lost its significance over the centuries. Since the first arab begins at sunset and the second (or multiples of) arab follows, it is established that the entire period of twilight is both arab (a mingling of light and dark) and arabim (more than one degree of mingling of light and dark). So far the evidence continues to mount while further establishing the clear and concise understanding of the terms arab and byn ha-arabim. There is much more to discuss regarding the term byn ha-arabim in our next installment titled 35. Passover – The Quails. In this post we will tackle the issue of Exodus 16 and the quail. Note: Adapted from a chapter from the forthcoming publication by Qadesh La Yahweh Press titled The Festivals and Sacred Days of Yahweh Vol. II. 1 HEL, p. 33; SEC, Heb. #996f. 2 See YAC, p. 309, s.v. Even, for the citations. 3 HEL, p. 33; CHAL, p. 39; SEC, Heb. #996f. 5 SEC, Heb. #8064; cf. 1 Kings, 8:27. 6 SEC, Heb. #3297, 3293. 7 SEC, Heb. #2552, 2525. 13 SEC, Heb. #8184, 8188. 14 Targ. Onq., Exod. 12:6, 16:12, 29:39, 30:8; Lev. 23:5; Num. 9:3, 5, 11, 28:4, 8; and see B. Shab., 34a-b; cf., B. Ber., 2a-b. Also see S. R. Driver’s comments (BE, p. 89). 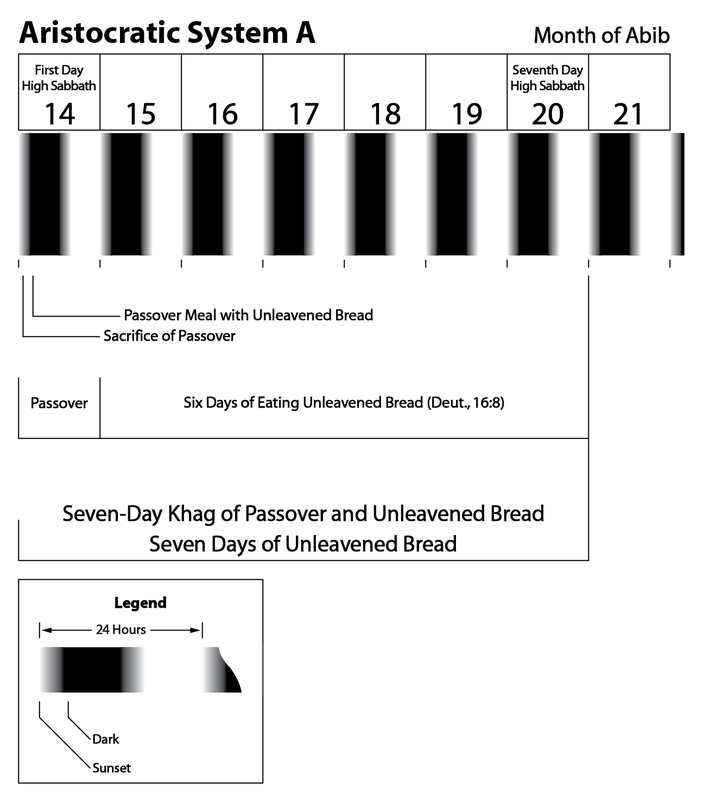 This entry was posted on 06/15/2013, 8:47 am and is filed under Calendar, Feast Days, High Sabbaths, Passover, Religion, Unleavened Bread, Yahweh. You can follow any responses to this entry through RSS 2.0. You can leave a response, or trackback from your own site.